If you didn't already know, the ASP's Surfing World Championship Tour (WCT) is getting ready to kickoff for 2013! The waiting period for the tour's first stop begins March 2. The tour starts off in Queensland at Snapper with the first of two events Down Under. It may be winter in the northern hemisphere but right now it's late summer in the southern hemi, making for the perfect atmosphere for the WCT season-opening event. The 2 event stretch of Fiji and Teahupo'o are the most exotic locations on the WCT and also have the potential for the biggest waves. Teahupo'o was blowing up for last year and Cloudbreak was going off too - hopefully the same is true for this year. The WCT comes to the US when it sets up shop at Trestles in mid-September. If you are looking for a reason to schedule a trip to California, you just found one. 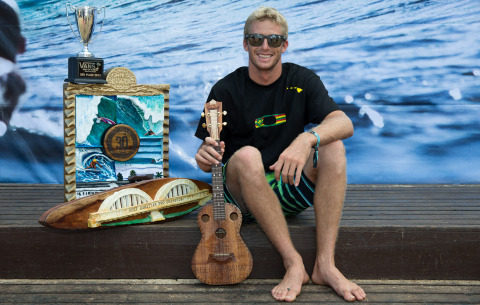 Who will win the 2013 WCT Crown?? It goes without saying that Parko, Kelly and Mick are all favorites for 2013 with their combined world title experience. But outside of that crew, John John Florence is knocking on the door. Last year in his first season on tour he had some huge results and was able to finish in 4th. Imagine what he can do with a year of experience. The Brazilians are also lurking and looking to make more noise (as they always do) this season. Could one of the "next" guys like Jordy or Julian make a title push? How about newcomer Sebastian "Seabass" Zietz, who killed it on the North Shore this winter? The Kelly Slater Wave Company!? !